​Becoming a professional basketball player is an amazing blessing. It's a dream come through for most. 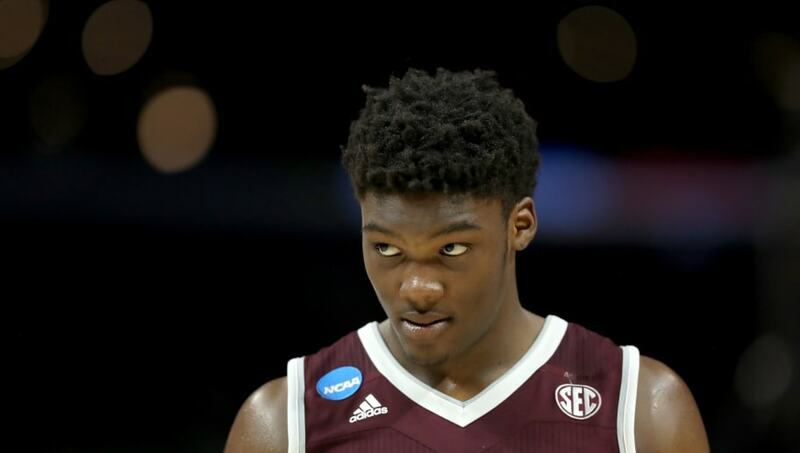 One would expect that to be the case for newest Celtic Robert Williams, who was selected late in the first round of the 2018 NBA Draft. So far that's been kind of tough for the former Texas A&M big man. That trend continued on Sunday. Can’t make this stuff up: Celtics say rookie first-round pick Robert Williams, who was introduced here Friday, missed his flight back to Boston and was not present for the start of summer league practice today. Williams already overslept an introductory conference call. ​​After some miscommunication, Williams missed an introductory conference call with the media just one night after the draft. Now, he has missed his flight back to ​Boston to begin summer league practice. Rough start for Williams, as everything seems to be going wrong for this kid right now. All he can really do is hope to perform well over the summer. To be honest, this will most likely be forgotten about in the near future, especially if his highlights are an indication of his future play. ​​While Williams is a great talent, he just has to re-group and start doing the little things right. Like setting an alarm clock. Come on, man.